The town of Rignac between Rodez and Villefranche-de-Rouergue is in the heart of the Aveyron and the campsite of La Peyrade, in Rignac, gives you an ideal destination to discover the Midi-Pyrenees region which has kept its authenticity and traditions. 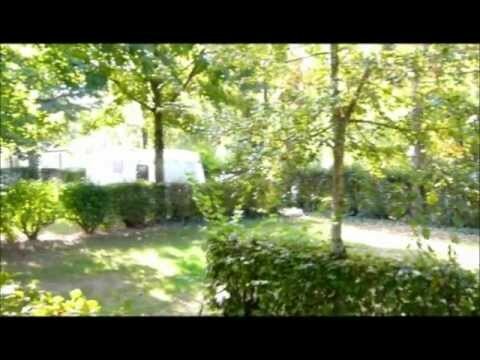 Camping pitch and free access in the swimming pool of the village Rignac, july and august. 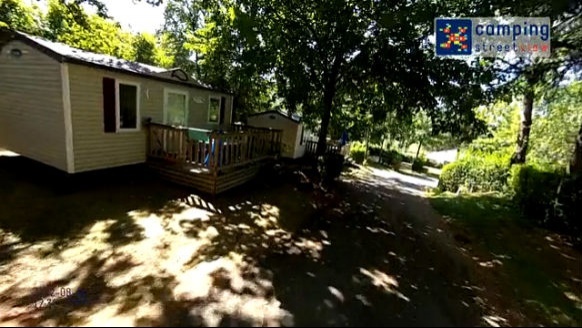 In this small campsite in Aveyron, here is our small mobile home, two bedrooms, the small one has two bunk beds. On the terrace of your rental, you fully enjoy nature and of course in summer you get free access to the swimming pool of Rignac below the campsite. Like a little house, this mobile home has a covered terrace. Inside, a modern design provides a comfortable note with the amenities such as the ceramic hob in the kitchen area, hair dryer in the bathroom. Enjoy as well, in the master bedroom the big bed (160x190) with also the possibility to add a cot. This mobile home has two bedrooms with a double bed in the first bedroom, two small beds side by side in the second one and a sofa bed in the living room. Its ground level terrace is equipped with a set of garden furniture and parasol. Ideal for hikers, cyclists or bikers. The bivouac welcomes you in a tent of 5 m2 with bed on a mezzanine for overnight stay. You can even enjoy a meal in it (country table, 2 benches)! A beautiful new chalet for 5 with a comfortable living room, a large bedroom with ergonomic design and cocooning atmosphere and a second one for 3 people (large storage capacity). The living room is bright with its bay window 240 cm overlooking the terrace of 8 m2. Week-end Premium pour deux en chalet avec vue sur l'étang et une heure de détente SPA RELAX le samedi de 18 h à 19 h en institut, massage du dos à l'huile d'épices orientales chaudes. Accès au jacuzzi multi-sensoriel et hammam. Nous vous offrons une bouteille de Champagne et un kit de bienvenue. Réservez votre week-end 15 jours avant minimum !